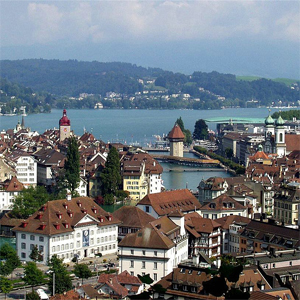 The Tops of Switzerland rail and hotel package includes 5-days of camera-ready rail travel through the lofty splendor of Switzerland, including excursions to two renowned mountaintops. You'll visit the unforgettable alpine wonderland, Jungfraujoch, Europe's highest-altitude railway station with a 100% guarantee of ice and snow and heart-thumping, panoramic views as far as the Vosges Mountains in France to the Black Forest in Germany. Then it's on to Lucerne and a unique rail trip up Mount Pilatus - via the world's steepest cogwheel railway.